Mangaluru, June 20, 2015 : A Malaysian Student residing in Mangaluru has become the latest victim in Debit Card fraud case. An unknown person has withdrawn 1.5 Lakh allegedly by cloning his card. The victim has been identified as Mohammed Tauseef, who is studying MBBS in Kasturba Medical College Mangaluru. Tauseef registered a case in Mangaluru North Police station, in his complaint Tauseef said that he received as message and was shocked to see that the amount of Rs. 1.18 lakh was withdrawn from his account between 10.47pm ( June 18) and 5.04am of Friday. 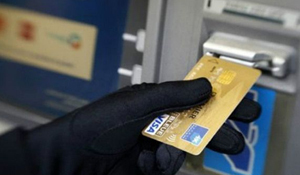 Police said, the preliminary investigation had revealed that the amount had been removed from ATMs abroad. They suspected that debit card must be cloned.